NASCAR has indefinitely suspended Kurt Busch, in the aftermath of a ruling in Kent County (Del.) Family Court that said the former Sprint Cup Series champion “more likely than not… committed an act of abuse" against former girlfriend Patricia Driscoll at Dover International Speedway in September of last year. 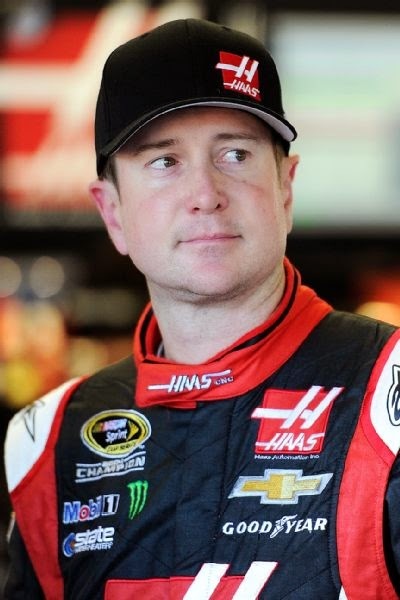 A written statement from the sanctioning body said, “Given the serious nature of the findings and conclusions made by the Commissioner of the Family Court of the State of Delaware, NASCAR has indefinitely suspended driver Kurt Busch, effective immediately. He will not be allowed to race nor participate in any NASCAR activities until further notice. Multiple sources say JR Motorsports NASCAR XFINITY Series driver Regan Smith will replace Busch at the wheel of the No. 41 Haas Automation Chevrolet in Sunday’s Daytona 500. Guilty before proven innocent. Nice way to ruin a potentially innocent guy's career. Does less believable then the other person make you guilty? It was only an opinion no charges have been filed. NASCAR was a little premature on this one. what has this country come to when a he said she said incident can possibly cost a man his career without actual evidence. NASCAR needs to rethink their position based on the fact they said they would wait to see if there was any charges filed. What an ugly situation. Clearly, there are no winners, and there is no end in sight. Only the two litigants know what happened in the coach at Dover. Reading your article, the judge makes it clear that this is a "He said- She said" deal, and doesn't seem to have based his ruling on facts, but believability. I have been a devout NASCAR fan for over 30 years and I must say this is the most GUTLESS decision by any pro sports system I have ever seen. Whether he did it or not is NOT the issue. This issue is NASCAR has suspended a man a taken his career before any court date. It seems NASCAR has no spine what-so-ever and has proven that in the USA you are absolutely GUILTY UNTIL PROVEN INNOCENT. I have lost 100% respect for this sanctioning body. NASCAR YOU ARE A JOKE!!!!!!!!!!!!!!!!!!!!!!!! PROFANITY AND NAME-CALLING WILL NOT BE TOLERATED ON THIS SITE. YOUR OPINIONS ARE WELCOME, BUT ONLY IF YOU ARE CAPABLE OF EXPRESSING THEM IN AN ADULT, MATURE MANNER. REPEAT VIOLATORS WILL BE BLOCKED FROM POSTING COMMENTS IN THE FUTURE. THANK YOU. Travis Kvapil was actually arrested, charged, and plead guilty of similar charges just over a year ago. However, he missed no races because of it. That might really come back to bite NASCAR if the media picks up on it. Dave I know you don't like the land of IF, but say Kurt is not charged with anything by the DA, how does Nascar handle it at that point? To those defending Kurt Busch - first, if there really was evidence of his innocence then this restraining order does not come down. Second, NASCAR's suspension is not just about this incident with Driscoll, it's about all the things Busch has done in his career leading up to this. His ugly history cannot be defended and I'm sick of people who seem unwilling to accept the idea that a major NASCAR star is just another OJ Simpson to be shunned. I think Nascar jumped the gun on this one. I understand they have to worry about the optics surrounding a case like this, BUT there are no criminal charges as of yet and a lot of questionable circumstances attached to these allegations. Given the impact this can have on owners, teams , sponsors and Kurt's season and future. If it were me or my family, I'd want to see a conviction, before punishment. If this comes out in Bush's favor, he'll have already been punished and have a season ruined, doesn't seem like fair or equal treatment, unless Nascar bans Driscoll from its functions in the interm as well ?? so monkeys fan I guess the law doesn't matter....just whatever someone believes at the time or whatever personal vendetta needs to be played out. You and nascar need a constitutional lesson. Play "The Ultimate Daytona 500 Moment Challenge"